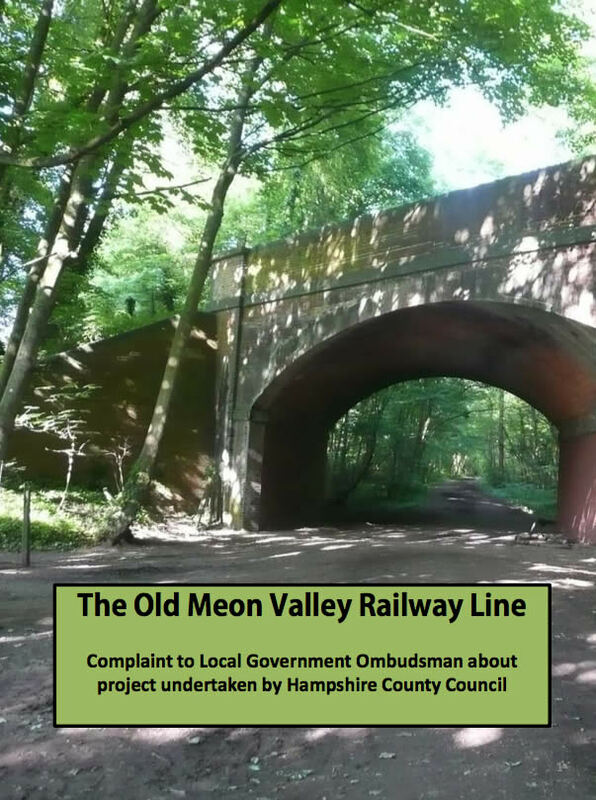 "If the desired outcome is to be achieved then they must become active in removing the works "
Meon Valley group are kicking uphill when contacting the ombudsman, they are quangos, they will support the council etc, if the desired outcome is to be achieved then they must become active in removing the works, but I expect they are too politically correct do so. The track is of ancient rites and is on the definitive plan although the council will not provide this information and they cannot be forced, no court will make the order for disclosure, it will deem that the authority has adopted the access to protect it for the public and dismiss the applications made to have the works removed. This though does not prevent the public from taking direct action, the court cannot confirm ownership without disclosure of deeds, so to remove the works is in order, " schedule 4 para 6 2006 commons act where any member of the public may enforce against unlawful works". The letter is long and boring, the track is public access and the council has no evidence to show otherwise, the southdown park has no jurisdiction either, surely in your ranks there must be a solicitor etc that can present the matters in court, or you MP. It looks like Sarah Allen and Co are compromising with HWT over access points on Yateley Common, I defeated the attempt by HCC to enclose the common land by proving the common is not freehold, now the leader of the group who also has no jurisdiction is inviting HWT to create new bridlepaths, are we then to expect that any accident will be compensated by Ms Allen and HWT, as the common land is not freehold, has no lawful bye-laws in place, access to the common is from all points of view but at own risk, however, man made constructions must carry a public liability certificate.